Adapting to the cold extrauterine environment after birth is a great challenge for the newborn. Due to their high surface area-to-volume ratio, infants tend to lose more heat to the environment as compared to adults. In addition, human newborns lack sufficiently developed skeletal muscle mass to maintain body temperature through shivering thermogenesis, an important source of heat in cold-exposed adults. 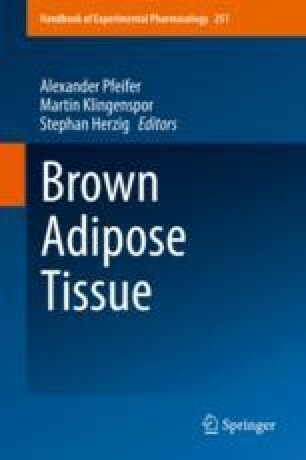 Evolution has provided humans and other placental mammals with brown adipose tissue (BAT), a tissue that converts chemically stored energy, in the form of fatty acids and glucose, into heat through non-shivering thermogenesis. The thermogenic activity of this tissue is significant for the human infant’s ability to maintain a sufficiently high core body temperature. Although BAT has been studied in human infants for more than a century, the literature covering different aspects of the tissue is rather limited. The aim of this review is to summarize the literature and describe what is actually known about the tissue and its importance for early human life. The author is supported by the Swedish Research Council, Wilhelm and Martina Lundgren’s Foundation, and The Royal Society of Arts and Sciences in Gothenburg.